Acting, Drama & Art Therapy Movement "Think Before You Act"
Acting, Drama & Art Therapy Movement is: "Think Before You Act Movement"
Acting, Drama and Art Therapy Movement group is for beginners and experts. The Healing Center is focused on behaviors, acting, artist and their journeys in the arts/entertainment field. Our mission is to open doors to those less fortunate in marketing and exposing their dreams. We are here to bring out creativity in everyone that has potential talent in making a dream reality. The group is focused on beginners and experienced actors and artist and shifting behavioral patterns. Our goal is for you to express yourself and heal yourself through acting and art expressions. Currently: we are driven by an additional mission that has brought Bout Me Magazine to collaborate with Bout Me Healing (Optimistic & Motivational) Human Developmental Healing Center of Awareness non- profit org. Our focus on awareness supports Cancer, Domestic Violence, Creativity for Abused Children, Troops, Mental Health, Homeless and substance abuse. It's not Bout us it's Bout you = Bout Me. Join us and help us make a difference for people that want to share stories and create impressional art! Bring your own materials to this group! By becoming a member you save at least $250 a year, when attending one class a week. We offer a weekly class focused on behavioral changes, Acting, Drama, Art and Writing Movement class. Please ask! Art Therapy, bring pencils and paper. • What we'll do. In this group we will discuss things we are grateful for, things you love, people you love, changes you want to make in your life. We will work on art piece created by colored pencils chosen by host and easy to follow. • What to bring Bring a sketch pad, colored pencils, and open mind! • Important to know Please be open minded and non-judgemental, this group aids in growth. ART THERAPY AND THE MEANING OF LIFE DISCUSSION! 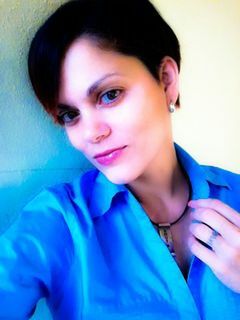 Cice is a Florida Board Licensed Counselor, Practicing-Mental Health, Addictions, Counselor and Relationship Coach, Spiritual Counselor, Life Coach, Stress & Anger Management Coach, Practitioner of Reiki and Self Healing Master. Cice is also an Inspirational and Motivational Speaker. As a Master Instructor of Conscious Living and reaching your highest potential. Join Us for this insightful interactive workshops, where we will learn some of the basic tools of Life Skills, which will helps you to shift your energy into creative changes into a different reality. Cice is available for private consultations and sessions.